FRAUDSTER: Wayne Patterson has been sentenced to eight years in jail for stealing $3.4m in social welfare benefits. An international fraudster who has been jailed in three countries began another jail term in Auckland today after admitting conning taxpayers out of $3.4 million in social welfare benefits. New Zealander Wayne Thomas Patterson, 47, will serve at least five years of an eight-year sentence after a judge called him "a determined recidivist fraudster" when he appeared for sentence in the High Court in Auckland. Patterson had pleaded guilty to 10 representative fraud charges after making up 123 false identities to con $3,414,425 out of the Ministry of Social Development. At one stage between March 2003, and October last year, he was being paid $54,000 a fortnight. The fraud was New Zealand's largest. The previous biggest benefit fraud was in Christchurch and involved $250,912. When police raided Patterson's modest rented flat in Massey, west Auckland, they found nearly $700,000 in $50 notes buried in the garden, $184,333 cash in the flat and in his car, and gold bars worth $355,000, also hidden in the flat. They also found 137 automatic teller machine cards, 102 forged birth certificates, 56 community service cards, 79 superannuation cards and 125 Inland Revenue cards. The cards were all in the names of the false identities used to obtain the fraudulent benefits. There was so much art in the flat there was not room to hang it all. The rented flat had been fitted with a sophisticated security camera and had six computers to allow Patterson to keep track of his fraud and false accounts. There was a marble master bedroom suite, tropical fish and a lavish garden with $50,000 worth of plants. "It was a full time occupation of serious dishonesty," said Justice Peter Woodhouse. "It is very far removed from what is commonly called benefit fraud." The stolen money was invested in more than one overseas company and had returned a profit of more than $1 million. Ministry of Social Development (MSD) chief executive Peter Hughes later said once the cost of the investigation was taken into account the Crown would get a net gain of $467,000. He said orders were granted under the Proceeds of Crimes Act today to allow seizure of the assets and investments. In court today, Justice Woodhouse said Patterson's offending began in 1978. He had served jail time in Australia, America and New Zealand for fraud offences. In Australia he had conned $A500,000 ($NZ592,900) in benefits using 43 false identities and was jailed for eight years but was extradited to New Zealand after serving three years. In 1991 he was arrested in America and jailed for eight years for defrauding authorities of $US2 million. He served three years in America before being deported back to New Zealand but returned there on a false passport. 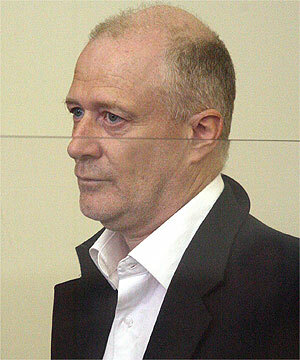 He was extradited to New Zealand in 2002, prosecuted for offences he committed in 1998 and sentenced to home detention. Within a month of ending his sentence in June 2003, he began offending again. "You are clearly a determined, recidivist fraudster," the judge told Patterson. He said he would give no discount for remorse but Patterson was entitled to a 30 per cent reduction for his early guilty plea, taking the sentence down to eight years from a starting point of 11½ years. The minimum period for an eight-year sentence before a person could apply for parole was two years and eight months but that was not enough and he set the non-parole period at five years. Outside the court Patterson's lawyer, Mark Ryan, said Patterson was pleased it was all over and he had entered an early guilty plea to put it behind him. "He is going to take his time to think about things." He said the sentence was reasonable. "My instructions are that he is genuinely remorseful. The crown did not accept that and that was not accepted by Justice Woodhouse." He said Patterson did not lead an extravagant lifestyle and his offending appeared to be an addiction. Money now held in overseas accounts would be brought back to New Zealand and that was more than $1 million on top of the $3.4 million to be repatriated to the crown.